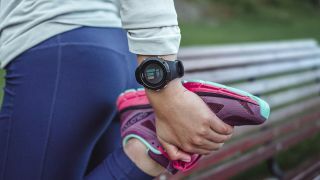 Your Suunto Spartan watch is about to get a little bit smarter, as the company is rolling out a software update to all models, which adds HR (heart rate) zones. That means you’ll be able to see information about your current intensity level at a glance, with real-time information on how long you’ve spent in each HR zone and how many heartbeats you have in reserve until you move to the next. Then when you’re done working out you can see how long you spent in each zone. With this update five HR zones will be added, along with the ability to define special zones for running and cycling. New settings for maximum and resting heart rate are also being added in the update, which will be rolled out in stages, starting today (January 18) and finishing on January 22. And if you don’t yet have a Suunto Spartan watch there are new options there, as the company is also launching new Amber and Sandstone models of the Suunto Spartan Wrist HR. These supposedly outdoor-inspired designs include stainless steel bezels and mineral crystal glass, but are otherwise identical to the existing Suunto Spartan Wrist HR – they’ll just give you a new choice of colors when they launch on February 1 for £279 (around $385 / AU$485).